By most measures, 2018 was a good year for U.S. banks. After earning $59.1 billion in the fourth quarter, net income for the calendar year was $236.7 billion. That was 44% higher than 2017 net income. However, after adjusting for tax reform, the increase over 2017 comes down to 13.6%. Still good. The nation’s banks also managed their interest margins well in 2018. In the fourth quarter, over 82% reported higher net interest income from a year earlier. The average net interest margin of 3.48% was up 17 basis points from the fourth quarter of 2017, which was 3.31%. After rising 2.1% in the fourth quarter, total loans and leases rose 4.4% during calendar 2018 with Commercial & Industrial loans leading the charge. It isn’t enough that loan balances increase, though. If loan quality is poor, that would be counter-productive. That is not the case now… for the most part. 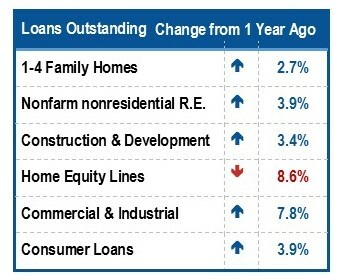 Both the noncurrent loan rate and the charge-off rate declined during the fourth quarter with one notable exception. 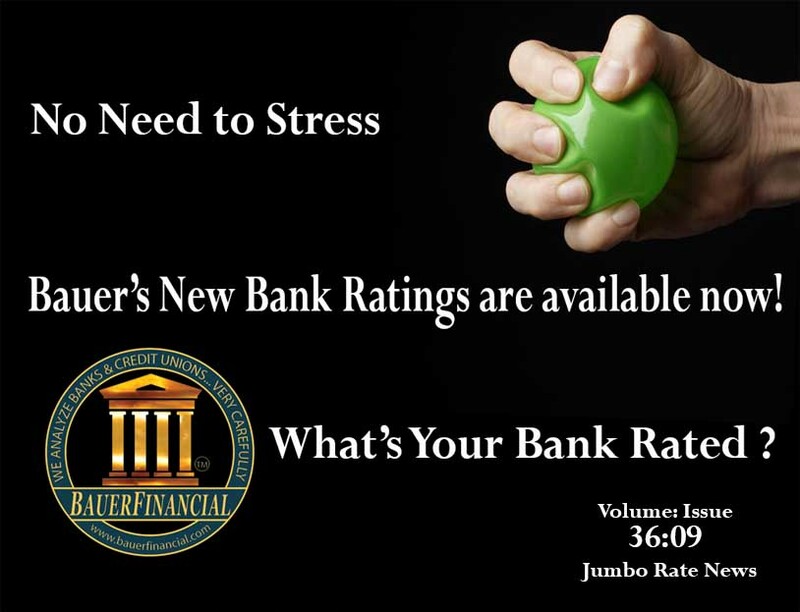 Consumer loans are increasing and so are the problems associated with them. 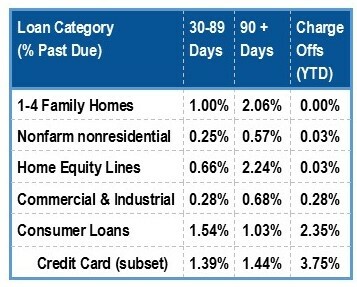 While total noncurrent loans decreased by $1 billion (1%), noncurrent credit card balances increased 13.8% ($1.6 billion) during the fourth quarter. We reported last week that this was something we were going to have to watch. The newly released fourth quarter numbers certainly reinforce that. That being said, the number of banks on the FDIC’s “Problem Bank List” has dropped from 71 to 60. That’s the lowest since the first quarter of 2007. Likewise, at 68, the number of institutions on Bauer’s Troubled and Problematic Bank Report (T&P) is at its lowest level since 2006. Remember: Bauer’s Report projects negative trends forward so it is common for Bauer’s list to be the leading indicator here. Mergers and acquisitions claimed 70 banks during the fourth quarter while two new banks were chartered. No banks failed in calendar 2018; the last time we had a year with no bank failures was 2006.